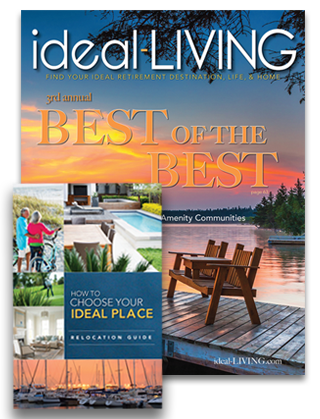 Dataw Island has been selected as one of the top 100 Golf Communities in America by Travel and Leisure Magazine. As one of South Carolina’s premier communities, the Dataw Island Club is home to two 18-hole golf courses (designed by Tom Fazio and Arthur Hills), eight Har-Tru tennis courts and two world class croquet lawns. As part of their commitment to quality, the club invested in renovations to their golf courses in 2011 and 2012. These are regarded as some of the best in the Lowcountry. The real estate opportunities on Dataw Island range from efficient villas to exquisite homes with private docks. Please be our guest as you explore the abundance of lifestyle and resident options that await you at Dataw Island. The two-night, three day package is available for $435. Additional nights may be added for $140/night. Whether it’s the sunset over the golf course, a superb meal with friends at the clubhouse, a vigorous workout with a personal trainer or the perfect cross-court forehand at the tennis center… there’s a special distinction to life on Dataw Island. It is a difference some call … the Dataw Difference. Our friendly, neighborly atmosphere can only be truly appreciated with an in-person visit. Please contact us today to inquire today about visiting us to Experience Dataw. Dataw Island ~ Historical Charm. Natural Beauty. Extraordinary Living! *Please contact the Dataw Island staff for details on package pricing. The package is based on current offering, seasonal rates may affect final pricing. Package only available for first time visitors and guest of Dataw Island. Offered on a first come first served basis, limited availability. Restrictions may apply. Subject to change without notice. The only way to appreciate ALL that Dataw Island has to offer is to experience it for yourself. Schedule your visit by booking a Discovery Package with us.